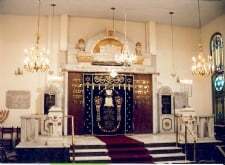 Synagogue Beth Shalom (sfardi): 5, Melidoni St.
Saturday afternoon: Mincha at sunset, followed by Azkarot and Arvit. 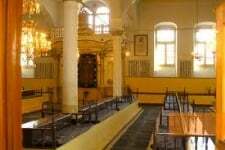 For a list of hotels within walking distance of the synagogue, click here. For Shabbat meals, click here. Shacharit: 7:30 - Mincha & Arvit: 30 min before candle lighting time. 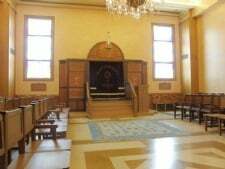 Friday: Mincha, followed by Kabbalat Shabbat: 30 min before candle lighting time. 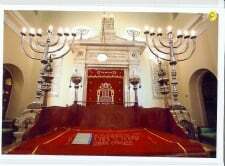 Saturday: Shacharit: 8:00 - Mincha: 1 hour before candle lighting time, followed by Seudah Shlishit and Arvit. 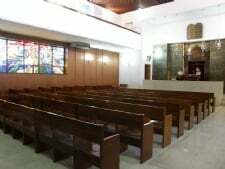 On Sunday mornings, service take place in the Old Age Home (Geirokomio): 83, Kimonos Voga St.
Synagogue Etz Haim: 29, Kentavron and Kyprou St.
Services: during the High Holidays. 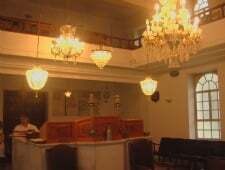 Synagogue: 24, Athanassiou Diakou Str. Services: only during the High Holidays. 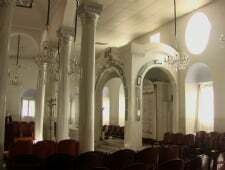 Synagogue: Xenophontos Platonos and Moisseos St.
Service times: Friday evening at sunset.